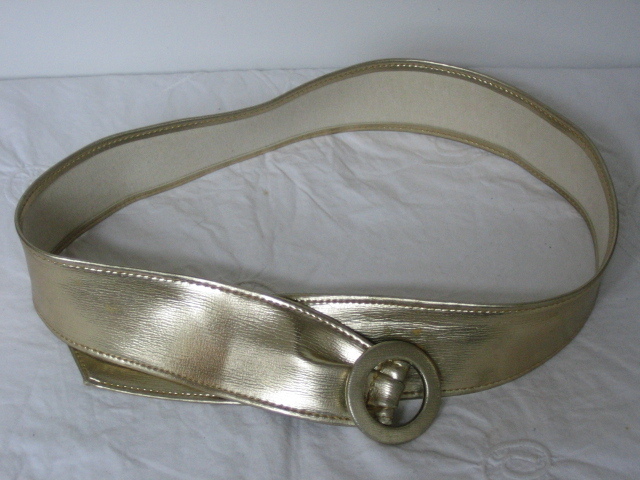 Vintage gold waist band belt. 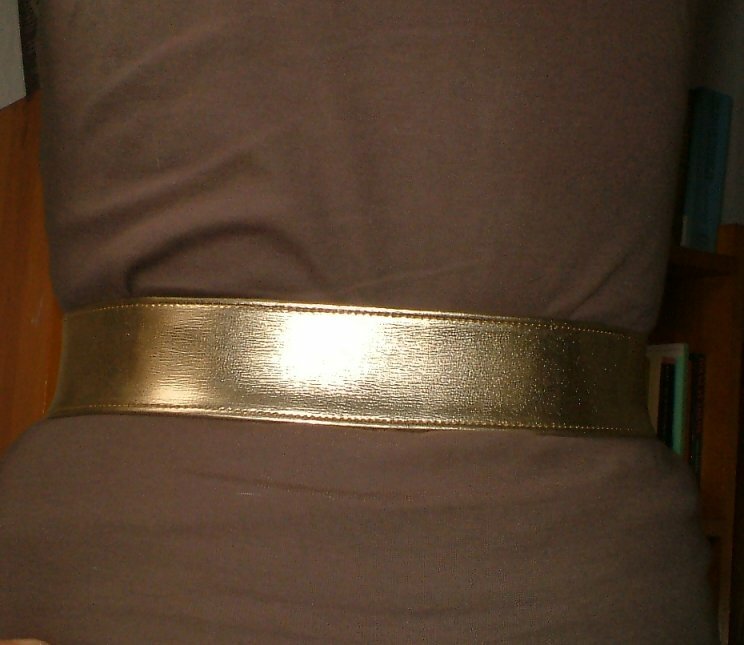 I'm not sure how old this belt is, I think from the style and material probably from the sixties. 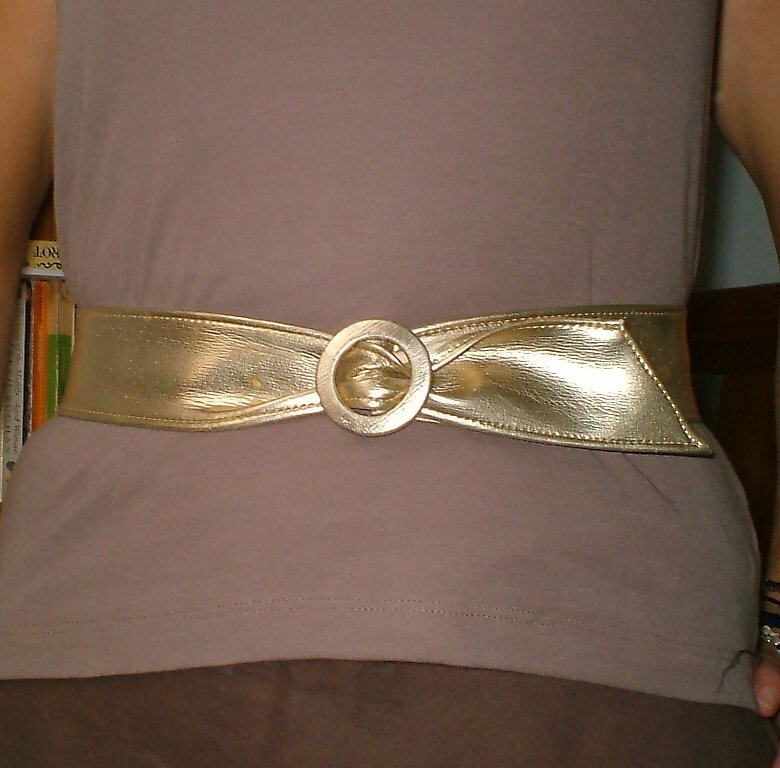 It's a simple gold band (without holes) fastening with a buckle - a very useful and attractive accessory for any outfit! 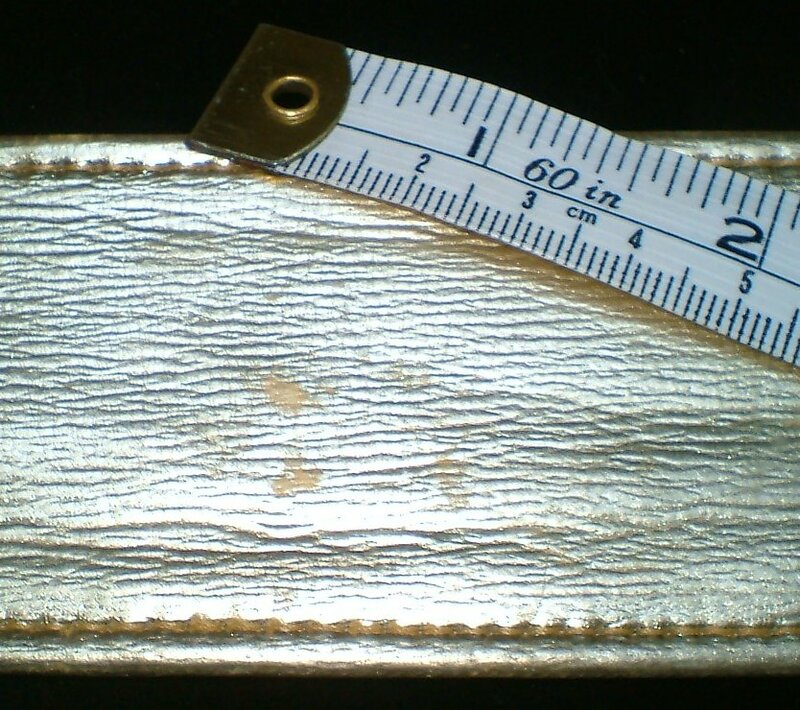 It's made from a material that I don't think is leather (although it may be). 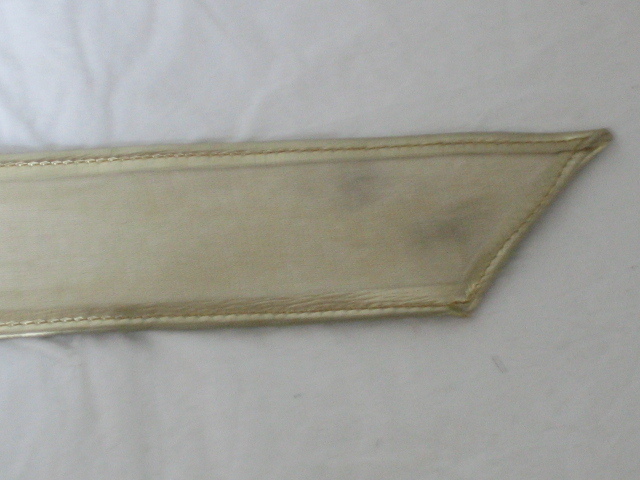 The edges are stitched and taper to a point at the end. 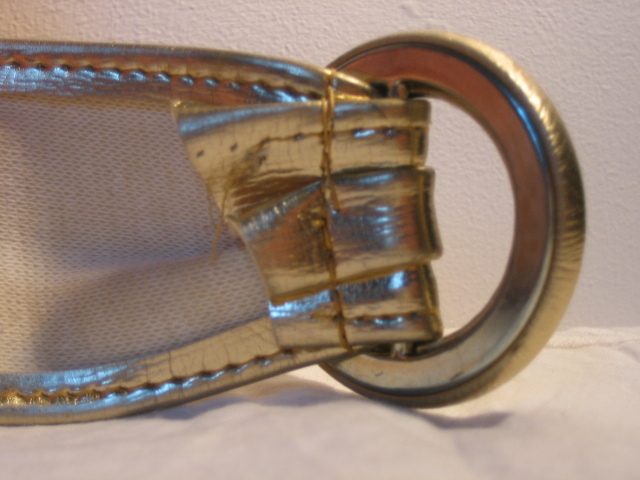 The buckle is very simple, merely a circle. 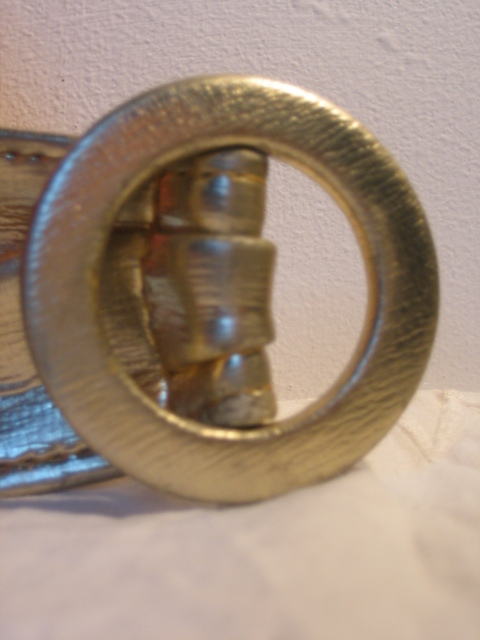 It's elegance is in its simplicity. 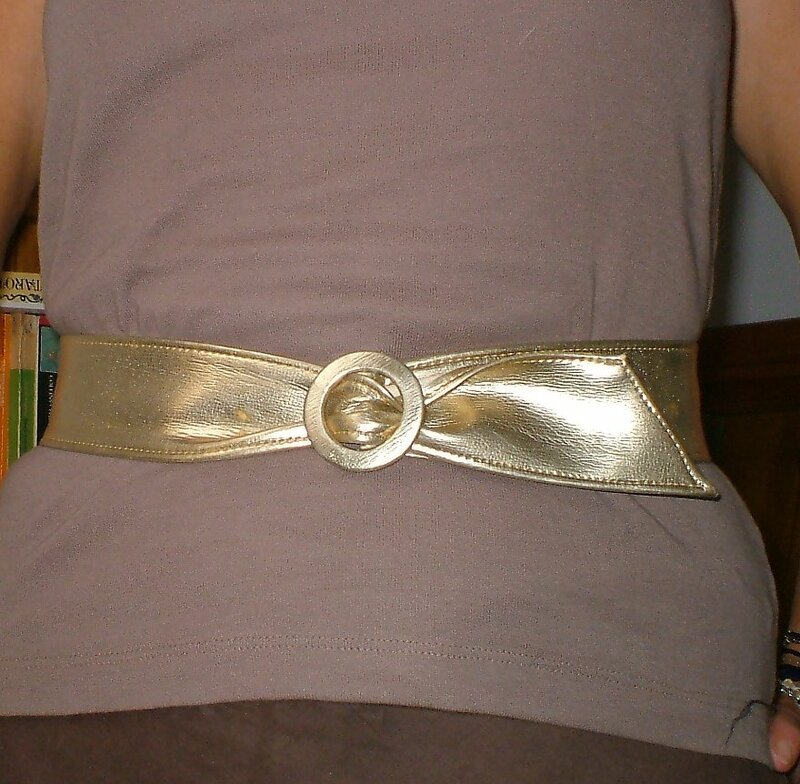 It would look great with anything from jeans to a little black dress!